The man beaten by authorities after a horseback pursuit has a lengthy criminal history, but his longtime girlfriend says some of the previous allegations involving the 30-year-old Apple Valley resident are untrue. 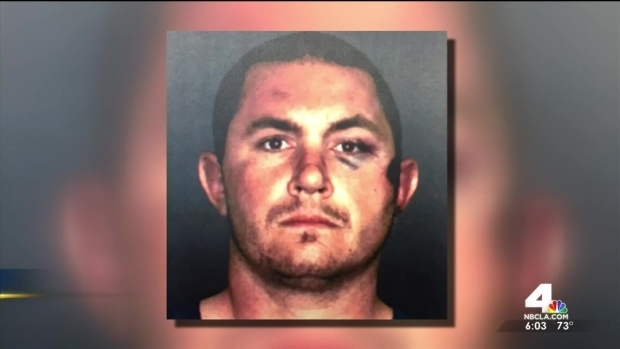 Francis Jared Pusok posted bond and was released from jail Sunday, three days after NewsChopper4 caught on camera a group of up to 10 San Bernardino County Sheriff's deputies beating him during an arrest in the high desert northeast of Los Angeles. He led deputies on a long pursuit that began after authorities attempted to serve a warrant in connection with an identity theft investigation at an Apple Valley home. Pusok has been convicted of eight crimes in San Bernardino County between 2003 and 2014, with a reckless driving case from Jan. 5 still active, according to court records. He was convicted of armed robbery in 2006, resisting an officer and cruelty to another's animal in 2013 and resisting arrest in 2014. But Pusok's girlfriend, Jolene Bindner, says that at least some of what Pusok is alleged to have done was trumped up, including that he threatened to kill an officer. Bindner said that was "absolutely not true. I was there the whole time." At the time, officers falsely said that Pusok threatened her, according to Bindner, who has three children with Pusok. He also had a 2002 charge for driving at an unsafe speed on a sidewalk, when he was riding a bicycle, Pusok said. Bindner spoke with her boyfriend in jail. "He's doing ok," said Bindner. "His head hurts. His legs are weak." Pusok's lawyers say that his criminal history doesn't have any bearing on the investigation into the two-minute beating, which they said could have been fatal. "If it wasn't for that helicopter and the camera...they would be charging him with 10 counts of battering a police officer," said Jim Terrell, an attorney for Pusok. "That's how it rolls here, that's what goes on every single day." 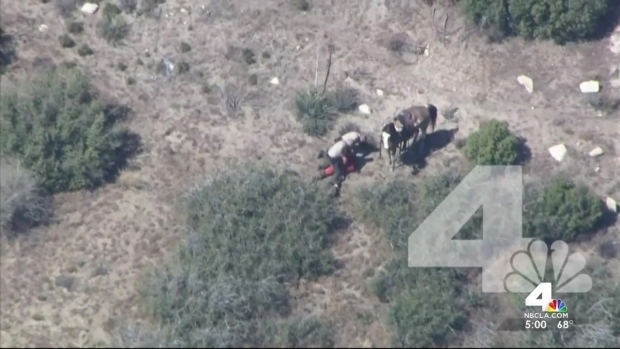 An internal investigation was launched into deputies' actions during an arrest after a pursuit on horse in San Bernardino County. Tony Shin reports for the NBC4 News at 6 p.m. on Friday, April 10, 2015. 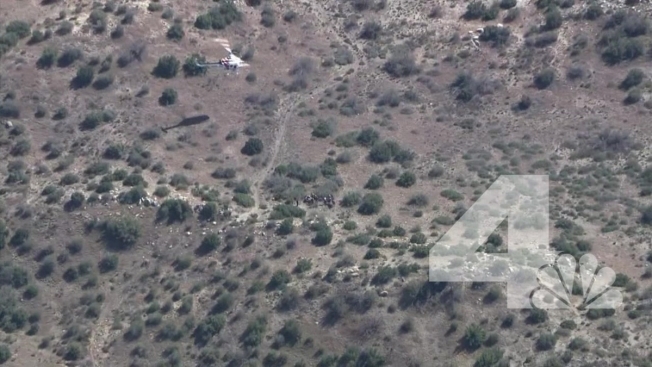 The arrest is now under investigation by the San Bernardino County Sheriff's Department and the FBI. Pusok bailed out of jail on Sunday.